Bing is set to release the new Facebook Connect integration called “Instant Personalization” into their search results starting today. This brings a new element to search results that we have yet to see – social integration and search results based on Facebook friend’s likes and dislikes. Most powerful, for now anyway, is the fact that this is a move that Google may not be able to easily duplicate. 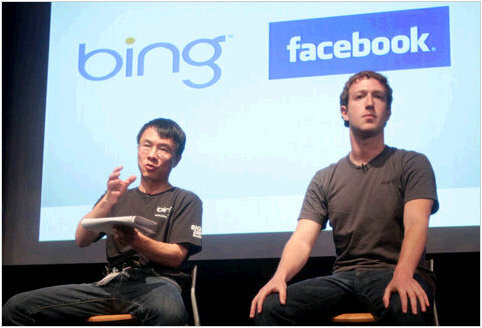 After all, Microsoft has actually invested into Facebook and this partnership may be exclusive. And of course, it turns into a massive revenue stream source for Facebook. “The core of the search page will change radically with the help of your friends,” he said. So has Microsoft played a move that may actually put Google on the defensive?